Our nutritional needs are as unique as our personalities. In this era when almost everything is customized, there’s no one-size-fits-all multivitamin. Personalized vitamin packs emerged as a solution for fulfilling unique nutritional needs. For Instance, an athlete may need to supplement with Omega-3 fatty acids that may assist with joint support; while an anemic person may benefit from taking an additional iron supplement. (Of course, these benefits vary depending on the individual.) Nutritional needs depend on various factors ranging from age, genetics, and environment to lifestyle, habits and underlying medical conditions. Personalized vitamins gained popularity because people could customize their supplements according to their personal wellness goals instead of having to target one concern at a time. 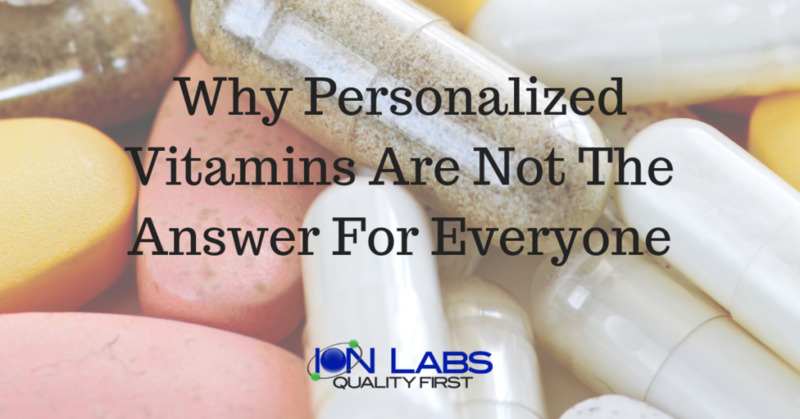 In theory, personalized vitamins seem to be a great solution for nutrient deficiencies. They allow people to select multivitamins that may target specific needs. But how effective are they in reality? For starters, personalization must start with comprehensive tests to determine an individual’s needs. This may sound like an easy prerequisite, but comprehensive testing can end up being quite expensive. An important problem with personalization is that an individual, on a whim, may end up getting a lot of supplements. This may lead to an overdosing of certain nutrients which may block the absorption of other nutrients, cause unbalances and even toxicity. 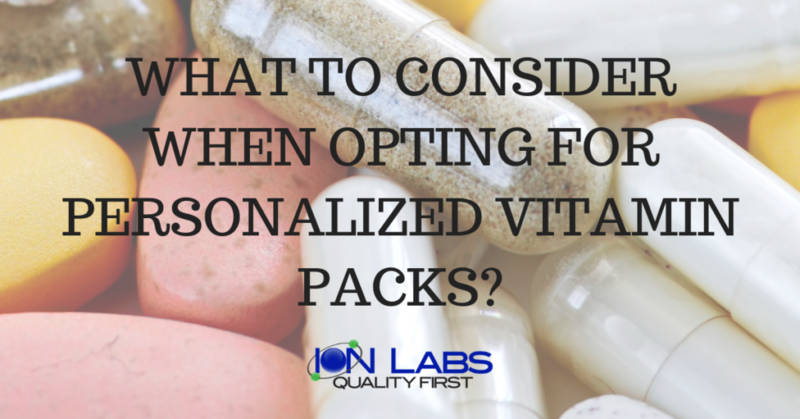 Taking unneeded supplements is perhaps the biggest problem with personalized vitamin packs. Always discuss with your doctor before you decide to incorporate new supplements into your daily diet. Another thing to consider while opting for personalized vitamins is that everyone’s needs are bound to change with time. Growing age, new health conditions, varying dietary habits, and changing concerns and fitness goals may require frequently revisiting the personalization. This means that laboratory tests must be repeated and questionnaires need to be answered again. Changing needs can become costly and time-consuming when it comes to personalized vitamins. For example, professional athletes rarely stick with the same supplement diet. The evolve and change depending on blood tests, endurance tests and more. The truth is, the answer may vary from individual to individual. Evidence suggests that supplements may assist some individuals with various nutrition solutions. Sometimes, even a healthy diet may not be enough to fulfill a person’s nutritional requirements. In fact, if done right, a personalized vitamin pack can actually reduce the risk of over supplementing by providing nutrients in a quantity specific to the individual’s requirement. Identifying the needs is crucial to design a personalized vitamin pack that is effective without compromising safety. When done correctly, personalization can give optimal results by overcoming nutrient deficiencies and achieving fitness and wellness goals. Whether it’s more energy that a person requires or better skin or even both, a personalized vitamin pack may assist in reaching specific goals without adding in the nutrients that they don’t even need to begin with. In fact, this is hands down the best perk that personalized vitamins offer. The straight-forward answer to this is, no. Personalized vitamins will not make up for an unhealthy lifestyle and bad habits. In addition to taking personalized vitamins, it is also important to adopt an active lifestyle along with healthy eating habits. Any nutritional gaps and additional requirements can then be fulfilled through personalized vitamin packs. To optimize the benefits and reduce the risks associated with personalized vitamins, tests like blood and urine tests are very important. Such tests can reveal nutrient deficiencies and health issues to be taken into consideration before personalizing vitamins. Most of the personalization companies also require filling out a questionnaire to understand an individual’s needs based on lifestyle and eating habits, and to determine his/her personal goals and requirements. Another important factor is ensuring that the personalized vitamins are from a certified manufacturer. Cheap supplements may sometimes contain harmful chemicals, heavy metals and an unhealthy amount of added sugar. But even with a certified, well-qualified manufacturer, personalized vitamins should be frequently updated to make sure that they are at par with the changing needs. This also ensures that new and better vitamins are constantly added to the personalized vitamin pack. 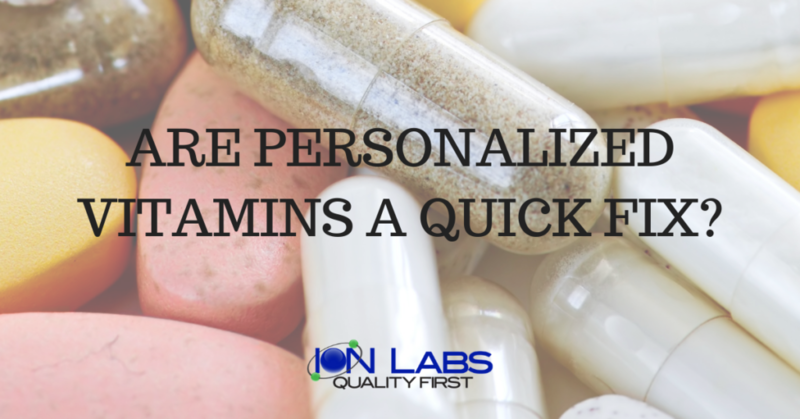 Personalized vitamins are a great way to fill any gaps or specific needs that are left despite a healthy diet. The key to getting an effective, personalized vitamin pack is getting in touch with a good healthcare expert or choosing a company that has its recommendations backed by credible research and professionals. Your body changes constantly and so should the vitamins you take day by day.